A community leader behind plans for a Hindu community centre and temple in Northampton has been appointed MBE in the New Year Honours list. Neelam Aggarwal-Singh, 53, is a founder member of the Indian Hindu Welfare Organisation (IHWO), set up in 1996. Work on its Northampton Kutumbh Centre is due to begin next year. She said she was “delighted” to be recognised for community cohesion, health and welfare. “It is not something that I was expecting and I’m in a daze at the moment,” she added. 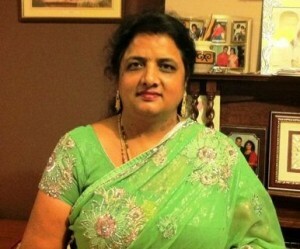 Born in India, Mrs Aggarwal-Singh arrived in England in 1981 unable to speak English, but a decade later she started a 14-year position at Northampton College. She has been a non-executive director of Northampton’s primary care trust and its health authority and currently holds the same position at Northampton General Hospital NHS Trust. The Diwali Festival of Lights in Northampton, held for the 12th year in succession in November, was set up by Mrs Aggarwal-Singh and IHWO and features performances on a stage in the town centre, a procession and group workshops. The other Northamptonshire recipient of a New Year Honour is 70-year-old Martin Cahill who has been appointed MBE for services to the community in Earls Barton. Mr Cahill worked for the fire service as a retained fireman for 35 years while volunteering with the British Red Cross and Northamptonshire Fire and Rescue Service. 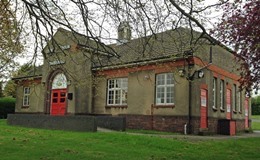 He has also been actively involved with the youth club since 1970. “It’s great to recognised but to be honest, I do the voluntary work because it is such a joy to do,” he said.